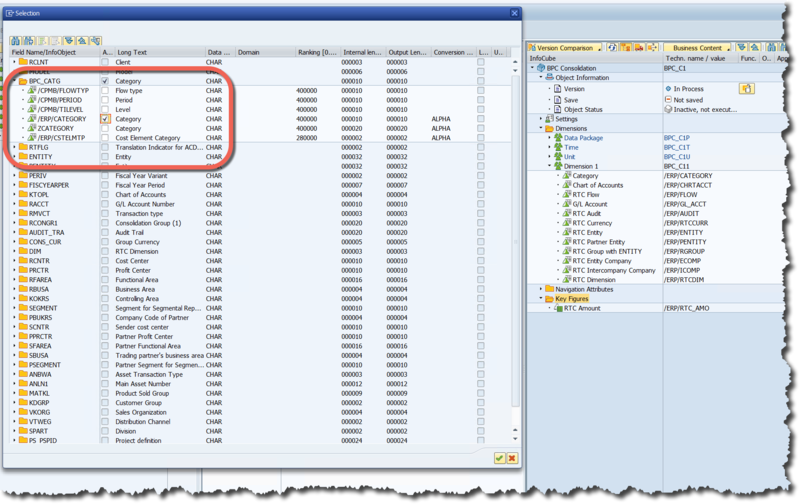 Although all the information for setting up RTC is available in the help documentation it does often help to see a step-by-step example of how it is done especially if it is the first time you are setting up an RTC solution or perhaps you are investigating the use of RTC and this example will answer some of your typical consolidation business requirement questions. Note that there is no solution architecture in this guide. 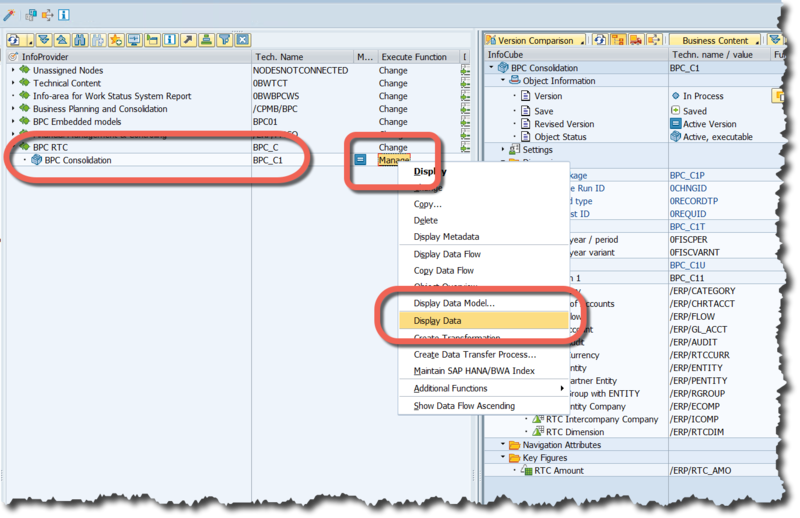 It is the basic minimum steps required to activate BPC Optimized for S/4 HANA 1709 and it was done on a sandbox system. Your model designs could differ significantly from this example based on your business requirements. The aim sounds reasonably simple…we want to activate and validate a BPC Consolidation Model based on S/4 master data and S/4 transaction data and we want to handshake the BPC Model with the S/4 RTC Consolidation Model. Green VALIDATION ticks on both sides indicates success!! 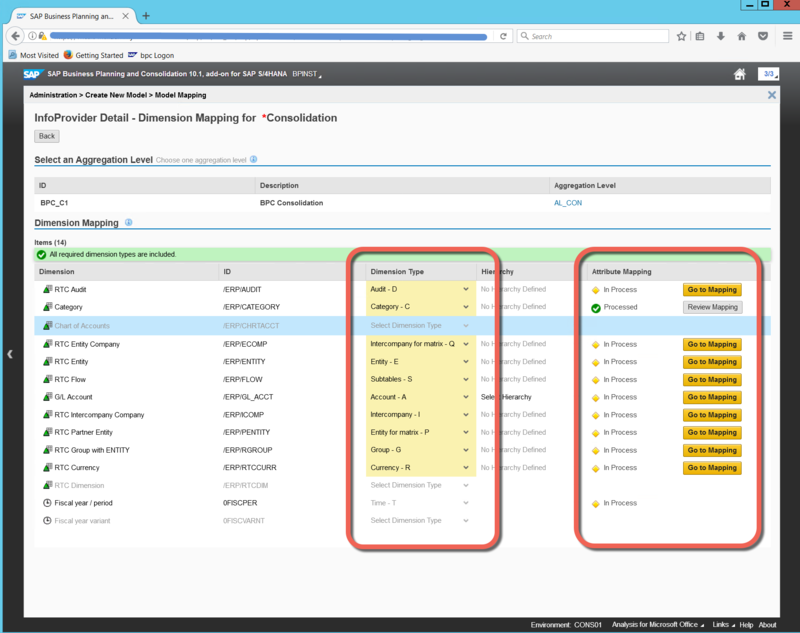 The S/4HANA installation is complete as well as the post-installation steps. 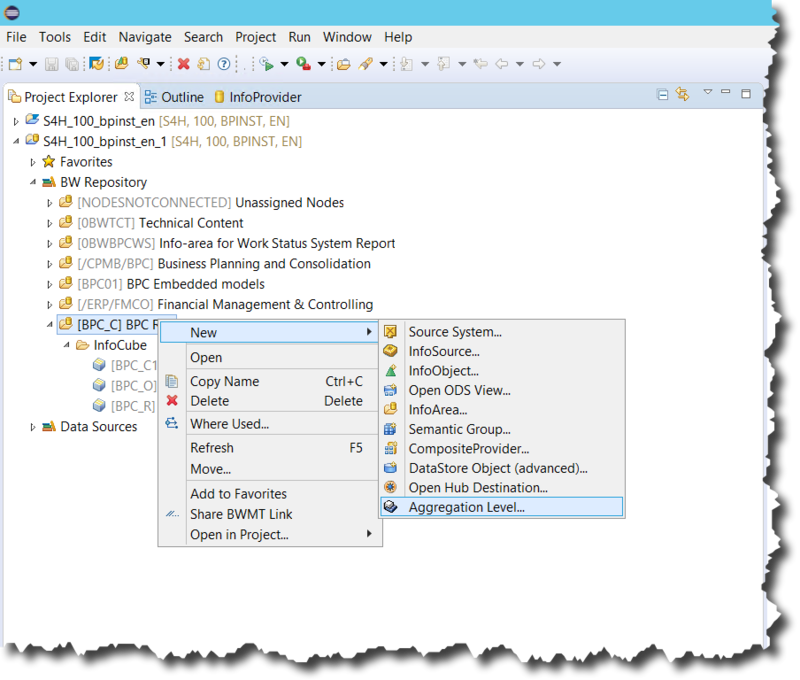 You’ve activated the embedded BW and you have created a blank BPC Embedded Model Environment from the BPC web client. The most important starting point is to find the SAP Help guide, and in particular the exact chapter in the help guide that relates to the setup procedures. 5. The document opens on the introduction screen and under the heading “About this Release” you will find the link to the RTC help document. 6. We are ready to start! 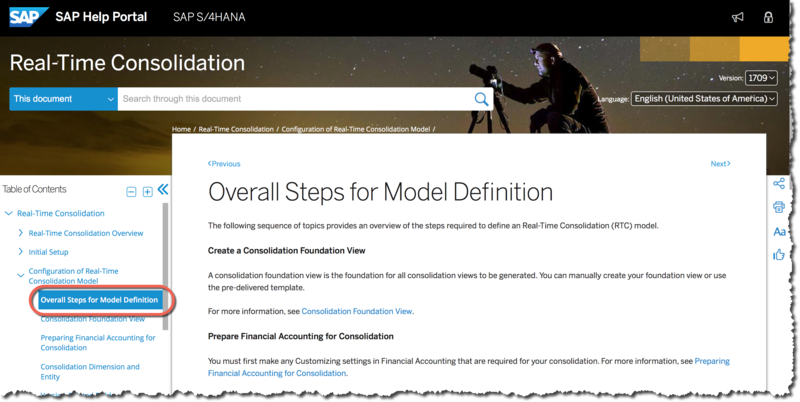 Scroll down to the chapter titled “Configuration of the Real-Time Consolidation Model” and section titled “Overall Steps for the Model Definition.” It’s worth reading the prior chapters if you are unfamiliar with the overall system architecture. With respect to RTC there are two consolidation model setups. One on the S/4HANA side and one on the BPC side. The two models have two different Model ID’s and are setup in two different environments. 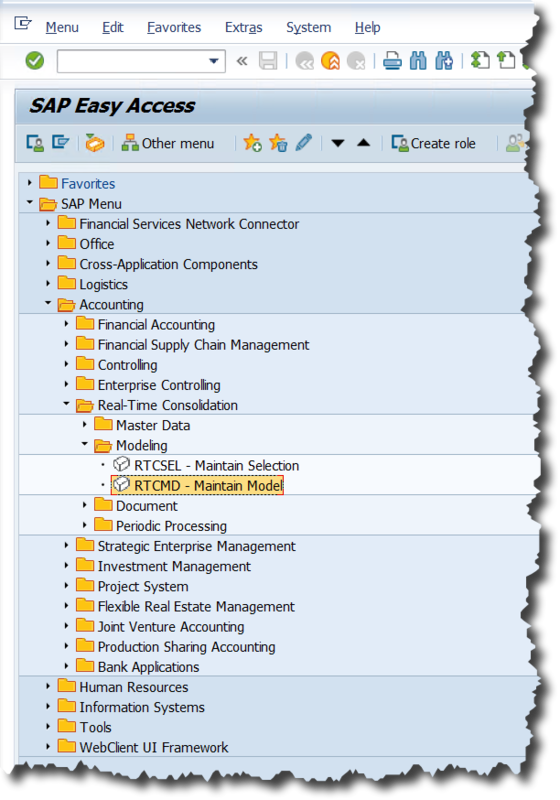 The S/4HANA RTC model is setup in the SAP GUI in S/4 under the ACCOUNTING menu option and the BPC Model is setup using the BPC Web Admin Client and is based on the embedded BW and BW modelling tools in Eclipse. We start by setting up the RTC model which forms the basis for all the objects and transaction data we will use to create the BPC Model and then once the BPC Model is complete we return to the RTC model and provide it with the BPC Model ID and do the final activation. In this way we handshake the two models together. 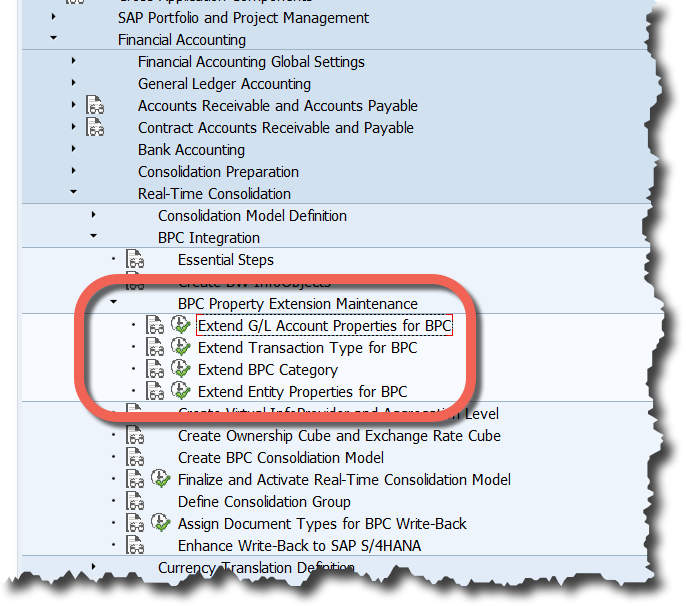 In order to setup our BPC model we need at least 3 info-providers for CONSOLIDATION, OWNERSHIP and RATES with very specific dimensions such as Group, Account, Audit ID etc and each of these require specific attributes which are not necessarily created within the standard S/4HANA dimensions/fields which means that they must first be extended before they can be used for BPC consolidations. 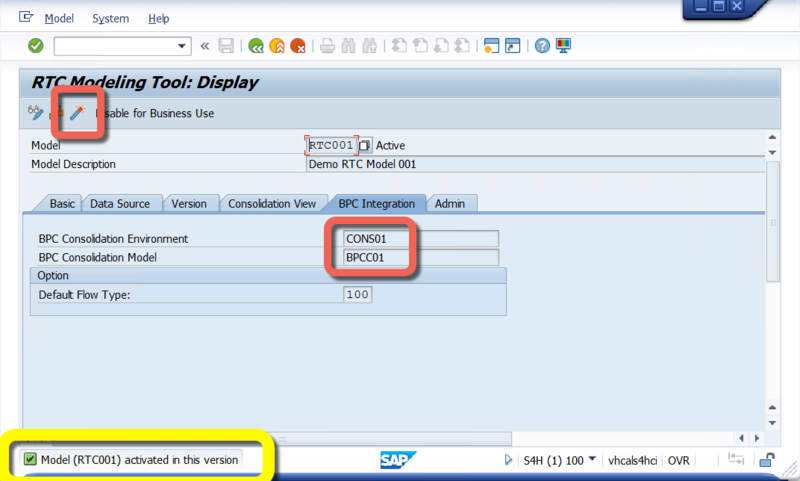 There is a seemingly catch-22 setup for RTC because we are unable to create the BPC Consolidation Model without the required dimensions from S/4HANA and we can’t complete the S/4HANA model under transaction code RTCMD without knowing what the BPC Model ID is. We kick off the process by setting up the fundamental building blocks of the accounting system as it relates to consolidations. 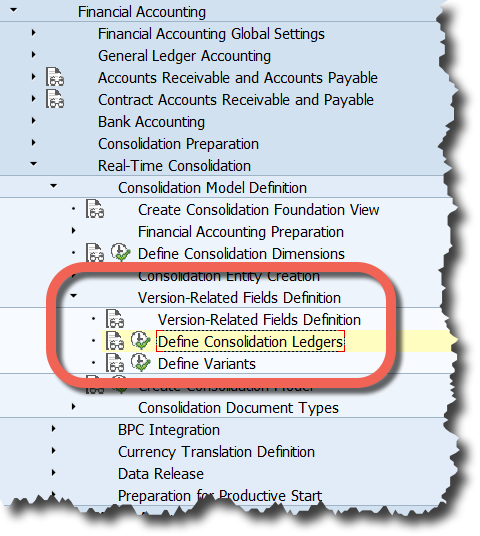 Extend the S/4 attributes for GL Account, Transaction Type (Flow), Category and Entity. 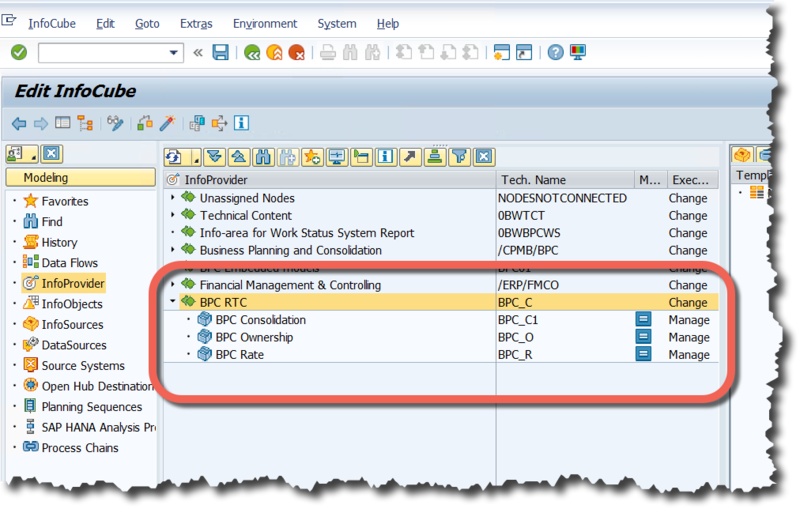 Define the BPC CATEGORY from within RTC Customising. What you can see happening here is that since S/4 has a very different data category concept using versions, value types, GL ledgers etc it has to create a mapping between the very simple single BPC CATEGORY dimension concept and the complex S/4 data category concept. 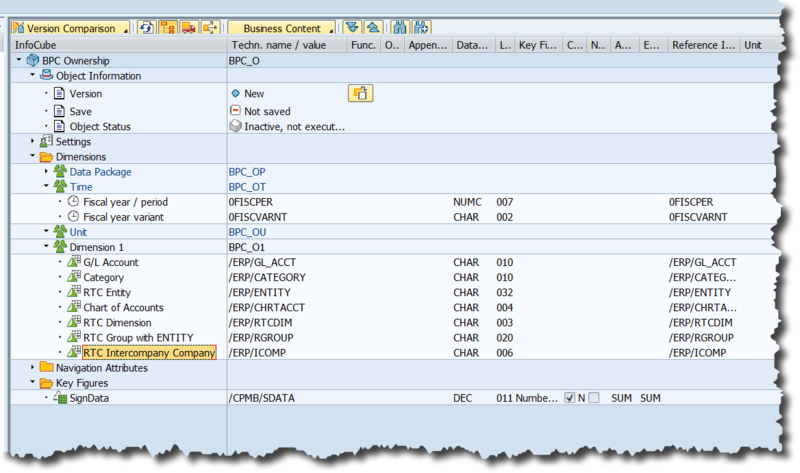 So additional tables are added to S/4 to store the BPC design with the respective BPC CATEGORY ATTRIBUTES which will be linked/mapped in the RTC Consolidation Model later and S/4 HANA Views will provide this data to BPC via virtual InfoProviders. This approach is applied to the GL Account, Transaction Type and Entity as well. Maintain the Entity dimension which forms the basis of the organisational structure used in the consolidation process. In S/4 the organisational structure can be a combination of multiple fields while in BPC it is a single dimension. 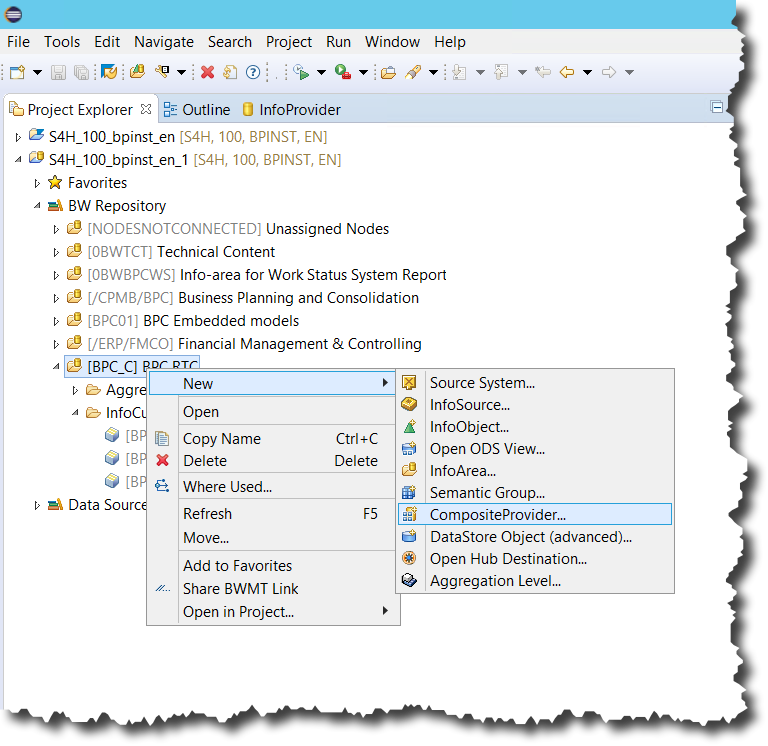 An Entity Table is created in S/4 to bring these two worlds together. Firstly an ENTITY DEFINITION describes the S/4 fields which are combined to create the Entity dimension and then an S/4 program can automatically populate the standard Entity Definitions. 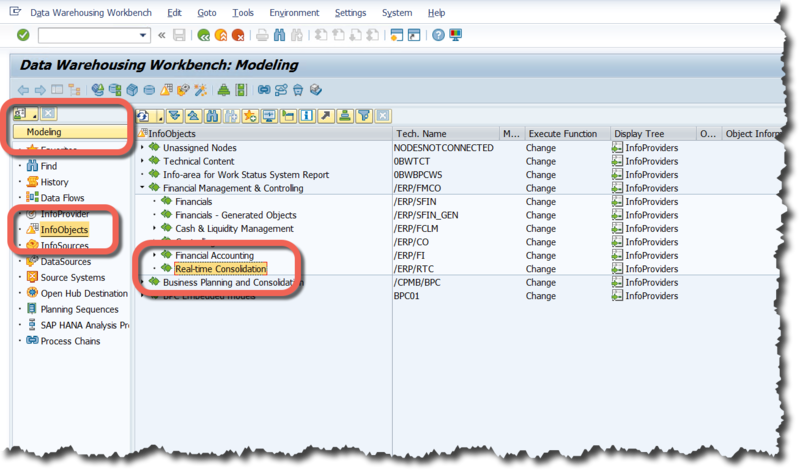 For custom Entity Definitions the table must be populated by a custom ABAP program. 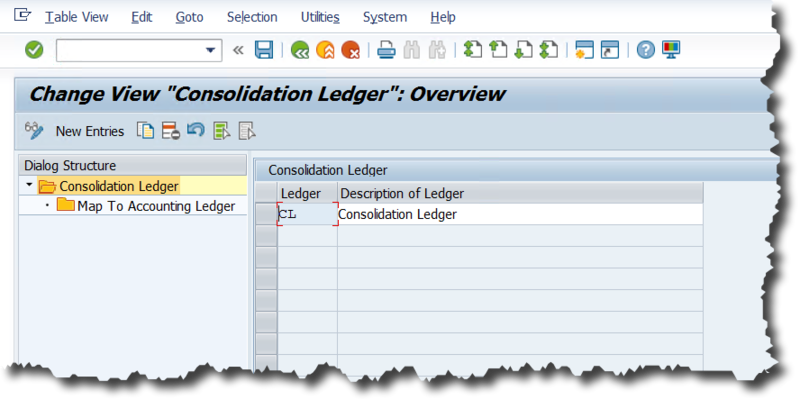 There is a default CL ledger which I will accept for my model but you can create as many as you want. 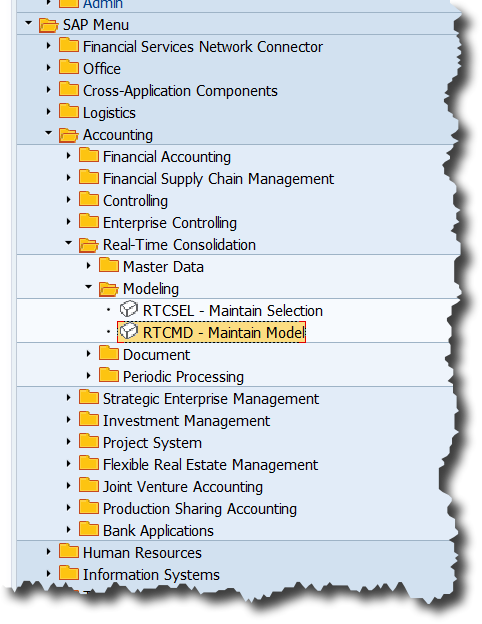 The RTC Consolidation Model is created in S/4 under the ACCOUNTING menu option for REAL-TIME CONSOLIDATION, MODELING, MAINTAIN MODEL. 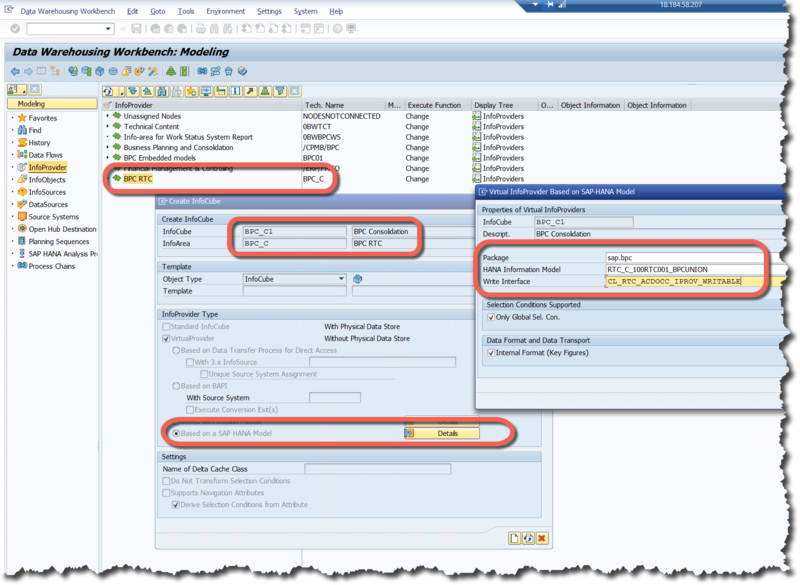 By capturing an ID and pressing the CREATE icon the model is created. 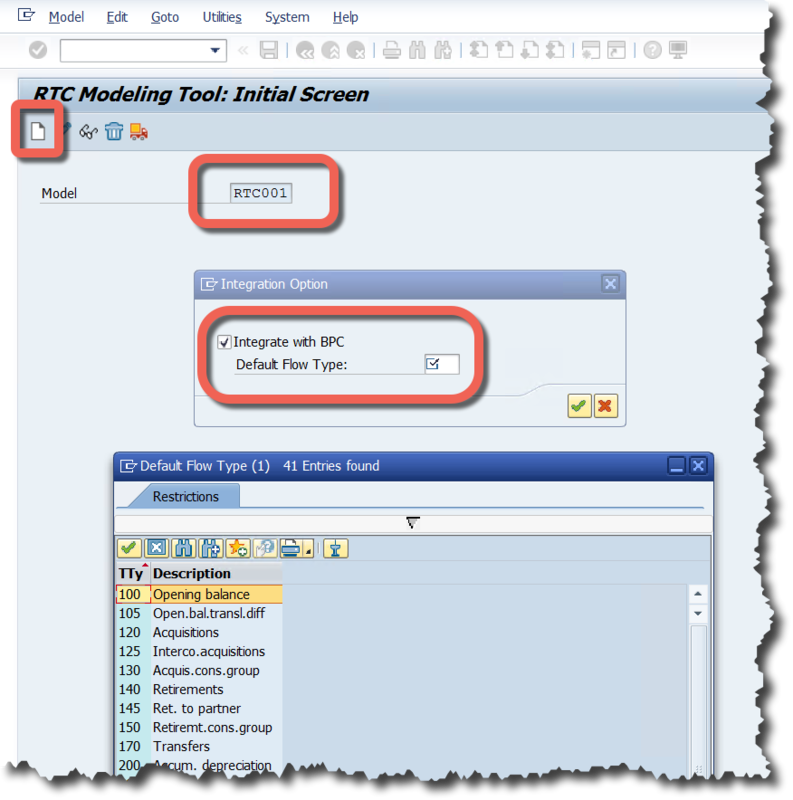 4.1 RTCMD – Enter a 6 digit alpha-numeric model key, select the CREATE icon, select the “Integrate with BPC” checkbox and select the default flow type. 4.3 Generate the consolidation views for the model. These views provide the master data and transaction data to BW for use within the BPC Consolidation Model or for reporting purposes. You’ll notice throughout the naming conventions within BW that “_VXX” typically means a virtual provider reading data from S/4HANA Views while “_RXX” typically means a real-time InfoProvider persisted within BW. You’ll also notice that the RTC Model ID that you provide, in my case RTC001, is used within the generated view names. So far we have worked through the configuration guide sequentially on the S/4 side up until the “MODEL SETUP” section. 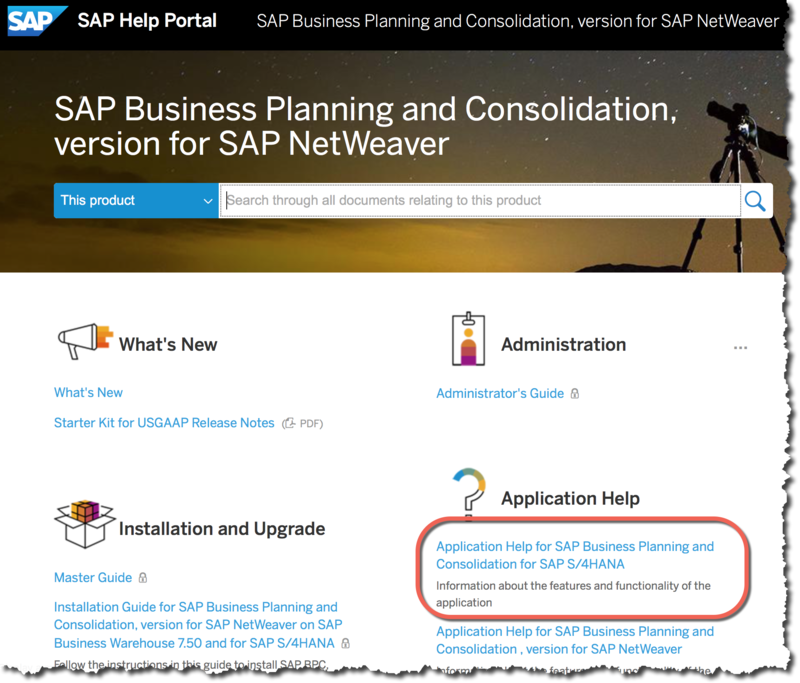 Now we are going to jump to the chapter entitled “INTEGRATION WITH SAP BPC” to complete the BW and BPC side and then return to S/4 to provide the final BPC model link to S/4 to complete the handshake. 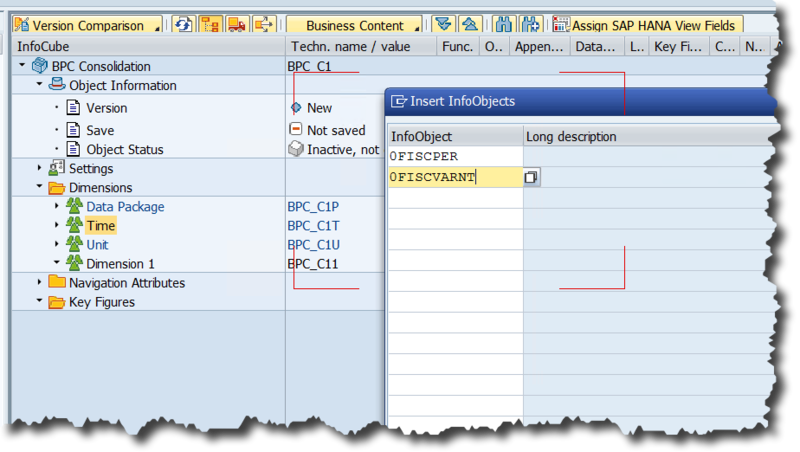 Create BW info-objects which will form the characteristics and dimensions of the 3 main consolidation info-providers i.e. 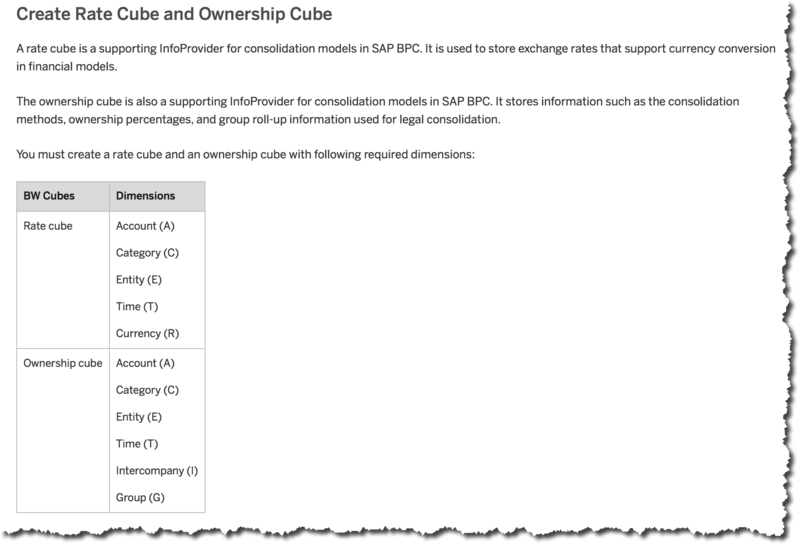 CONSOLIDATION, OWNERSHIP, RATE cubes. 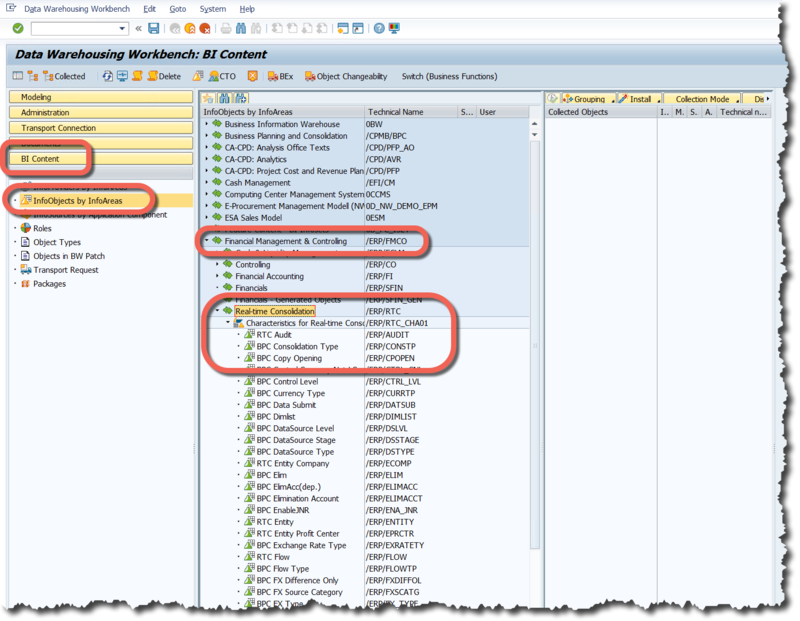 5.1 One problem you might come up against is that the standard business content for RTC has not been activated yet so when you look RSA1, MODELING, INFO-OBJECTS, REAL-TIME CONSOLIDATION you find no content. 5.2 So activate this content from RSA1, BI CONTENT, INFO-OBJECTS BY INFOAREAS, FINANCIAL MANAGEMENT & CONTROLLING, REAL-TIME CONSOLIDATION. Activate the entire Characteristic and Key Figure catalogues. 5.3 Refresh the entire tree and you should now see the RTC BW content. 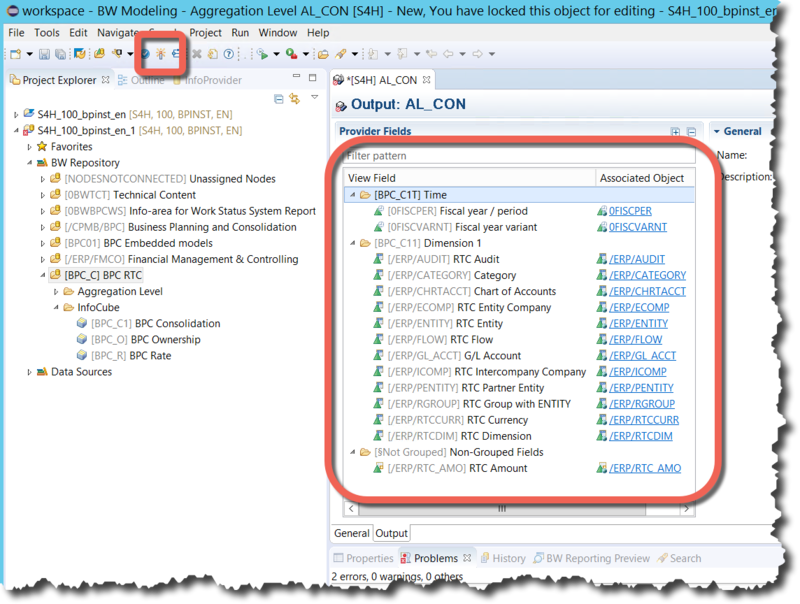 Some of these objects are based on S/4 HANA views and some are BW objects but they provide all the objects required for the consolidation cubes. 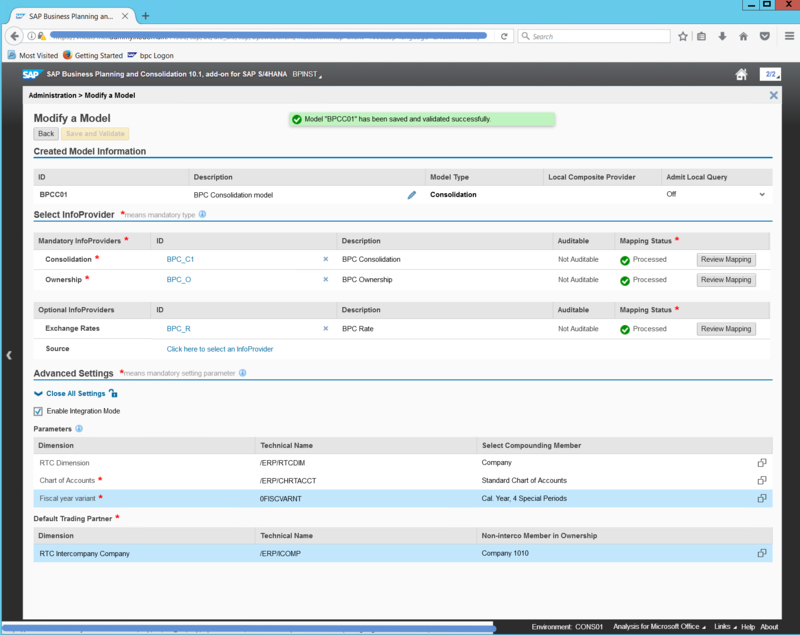 Create a VirtualProvider for the CONSOLIDATION cube. The minimum number of InfoObjects required are those we need for the BPC Consolidation Model’s required dimension types and these are all available from the business content that we installed into /ERP/RTC. You’ll notice that we require the ENTITY dimension and it’s partner, usually dimension PENTITY, as well as Inter-Company and it’s partner for US Eliminations. This screen-shot has jumped ahead and been captured after the assignments so we can obtain a list of the minimum number of dimensions required for the CONSOLIDATION model. 6. 1 Don’t create your content under /CPMB/BPC which is reserved for the BPC standard model. 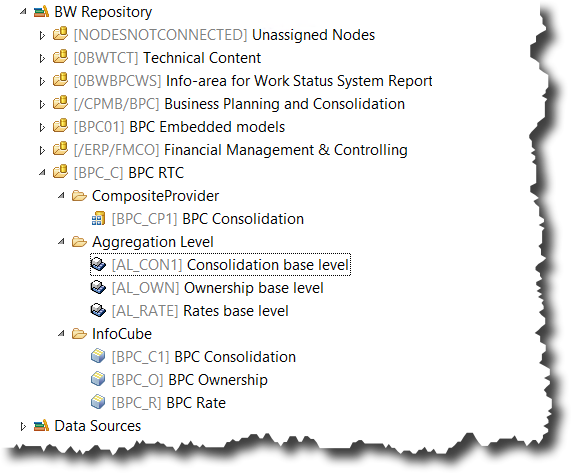 I created a new InfoArea for myself named BPC_C with description BPC RTC. 6. 2 Capture a ID and Description for the InfoCube (BPC_C1, BPC Consolidation in my case). You’ll notice it is already flagged as a VIRTUAL PROVIDER. 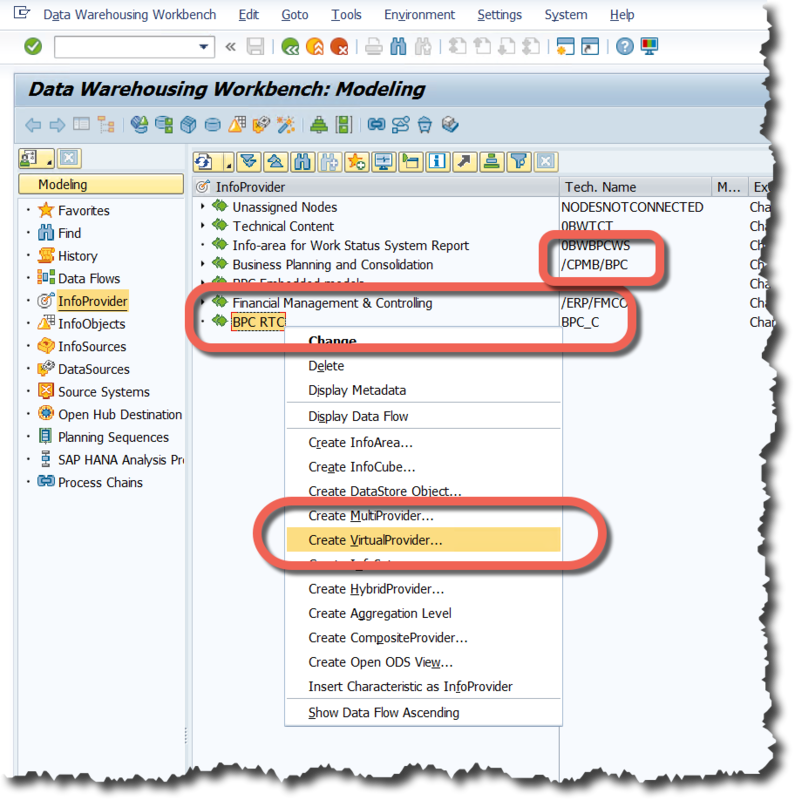 Select the radio button for BASED ON A SAP HANA MODEL and select the DETAILS button to capture the details of your RTC model. 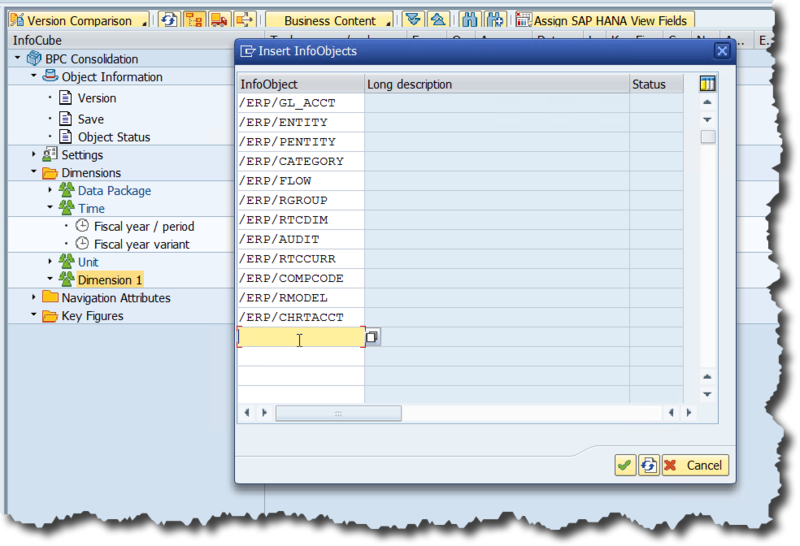 The Package name and HANA Info Model come directly from the generated views created in step 7.3. 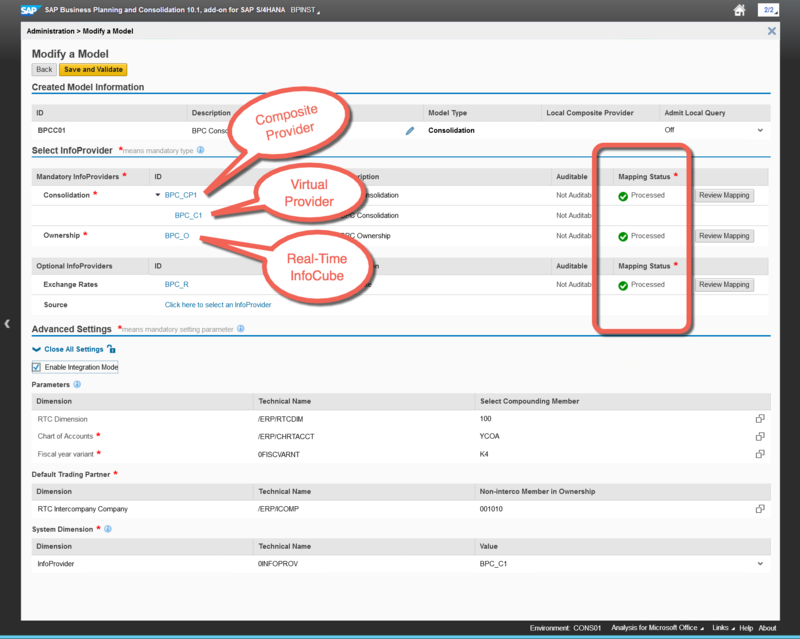 We use the “<…>_BPCUNION” calculation view for the BW VirtualProvider. 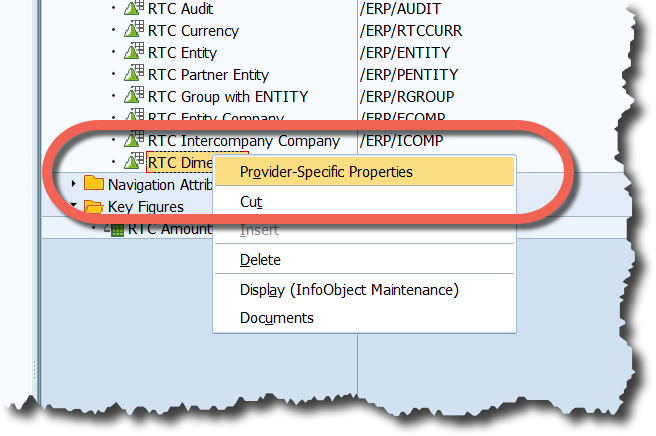 Once you’ve captured the relevant entry fields select the CREATE icon and create the provider. 6.3 The next step is to create the VirtualProvider that we require for the Consolidation Model. Remember that we are following the help guide sequentially from top to bottom and we are at the section called CREATING BW INFOPROVIDERS and in particular the first sub-section called CREAT A VIRTUAL PROVIDER. We obtain the HANA Field Names from this section. 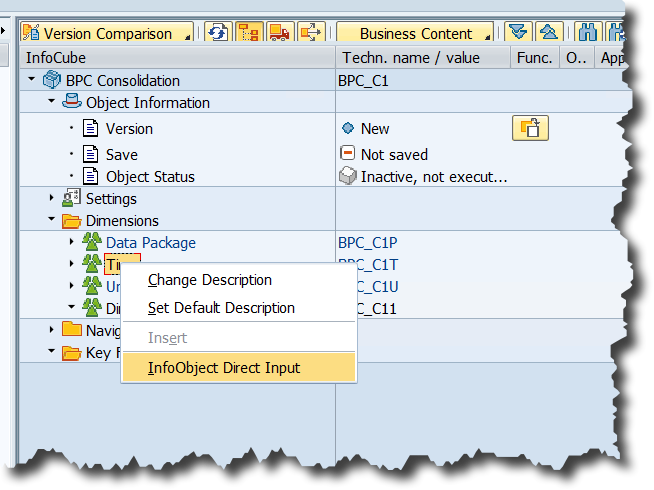 Right-Click the TIME dimension and select INFO-OBJECT DIRECT INPUT. Capture the InfoObjects 0FISCPER and 0FISCVARNT and select enter. Repeat this for the Dimensions and Key Figures. 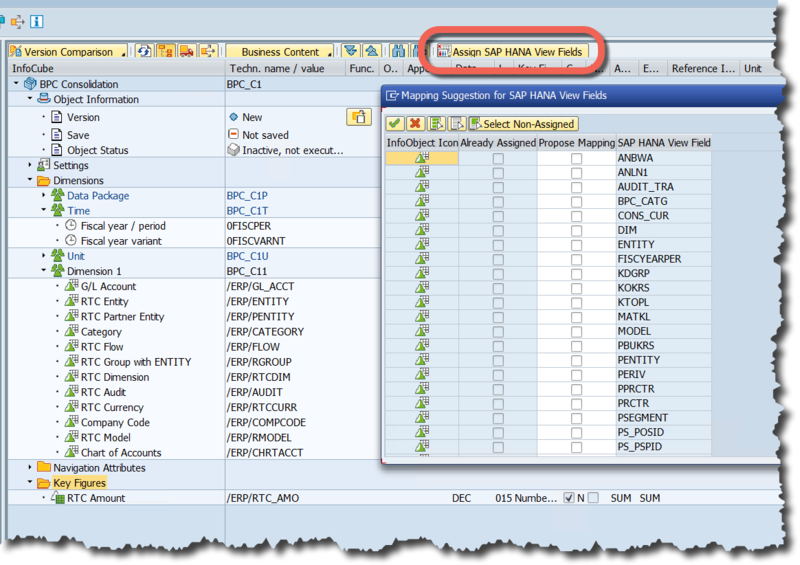 6.4 Once all the InfoObjects are added, select the ASSIGN SAP HANA VIEW FIELDS and match the HANA field name to the InfoObject. I selected all the fields and then tried to match them but found that the selection options under each field did not always contain the matching InfoObject so I accepted the fields that did match and then manually matched the individual InfoObjects by right-clicking on the InfoObjects that were not yet matched and selecting InfoProvider Specific Properties and then selecting the HANA Model Attribute. 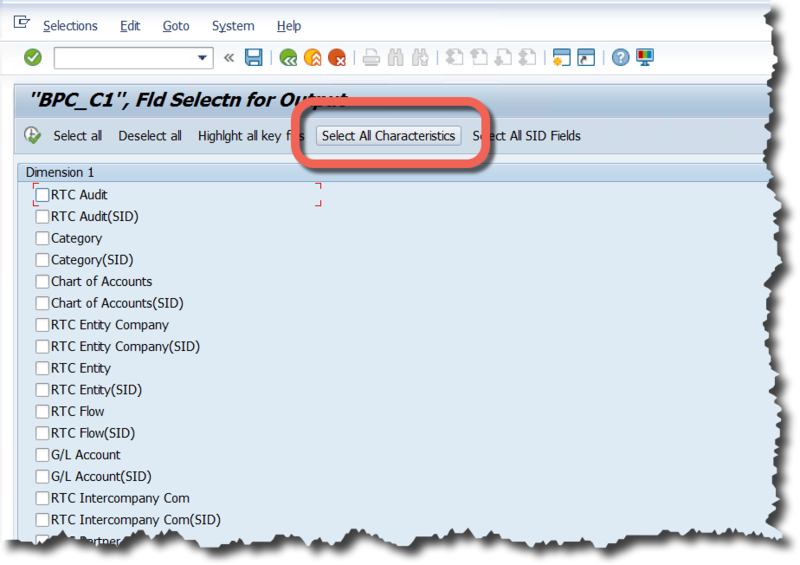 Select the InfoObjects individually to select the HANA Fields that were not able to be matched in the mass selection. 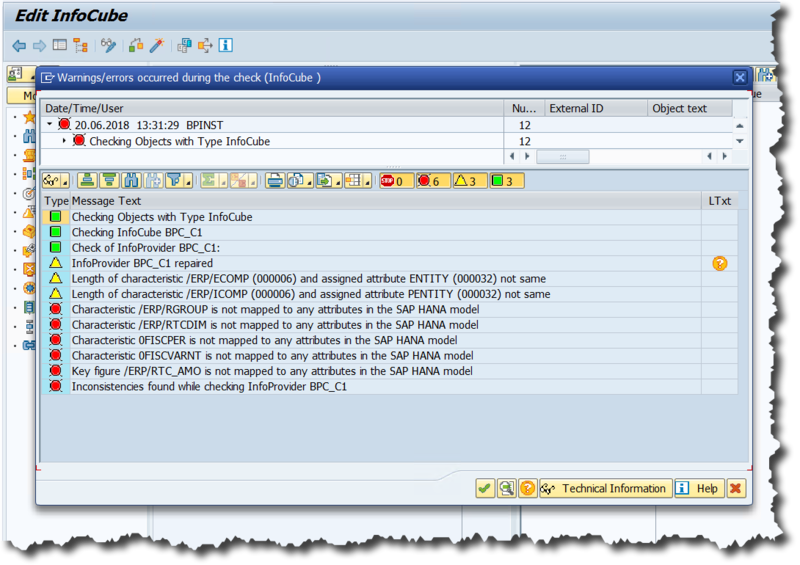 If you try to activate the cube without all the HANA Model matchings you will receive an error. Repeat the individual InfoObject mapping until all the errors are cleared and then activate the cube. 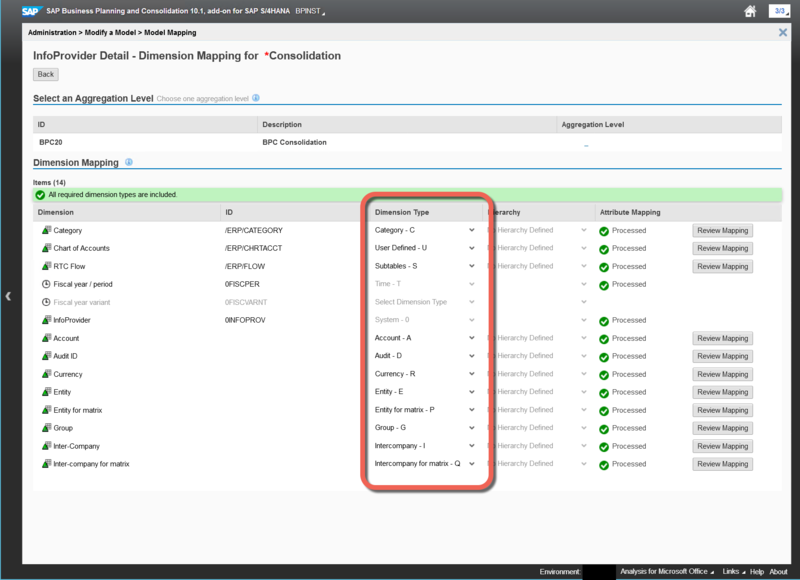 If your activation was successful you should now have an active VirtualProvider and if you right-click on it, or on the MANAGE selection, you can select DISPLAY DATA from the menu option and display any data there might be in the S/4 ACDOCA table. 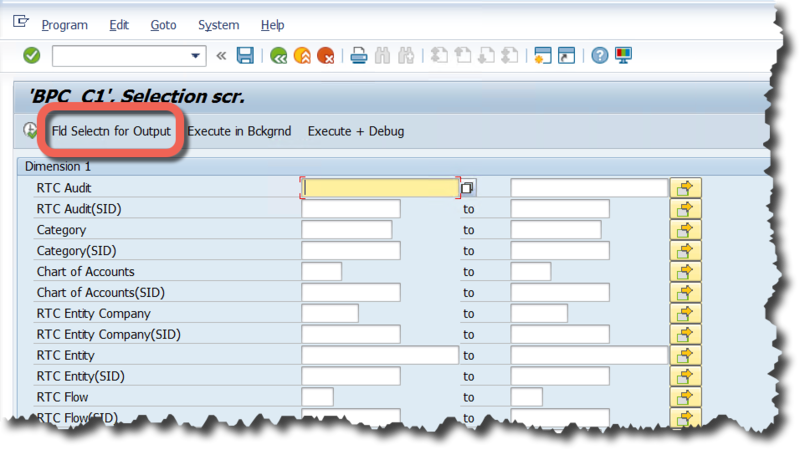 Select all characteristics, execute and execute again to run the selection of the first 200 records. If there are any records in S/4 they will appear in your data display. 6.5 Now we need to setup the OWNERSHIP and RATES cubes for the model. These are considered supporting cubes and we will create real-time physical cubes in BW for them using the S/4 master data InfoObjects. 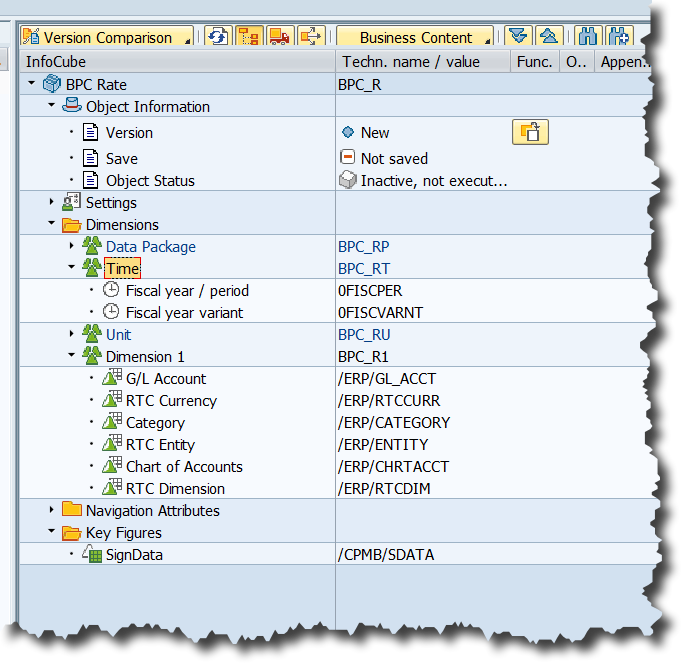 In your InfoArea with RSA1 create an InfoCube. Note: Before adding the InfoObjects mark the cube as a REAL-TIME InfoCube so that the write-back ability is added to the cube. 6.6 The result of the work up until now is to have the 3 mandatory BW InfoProviders created and activated. 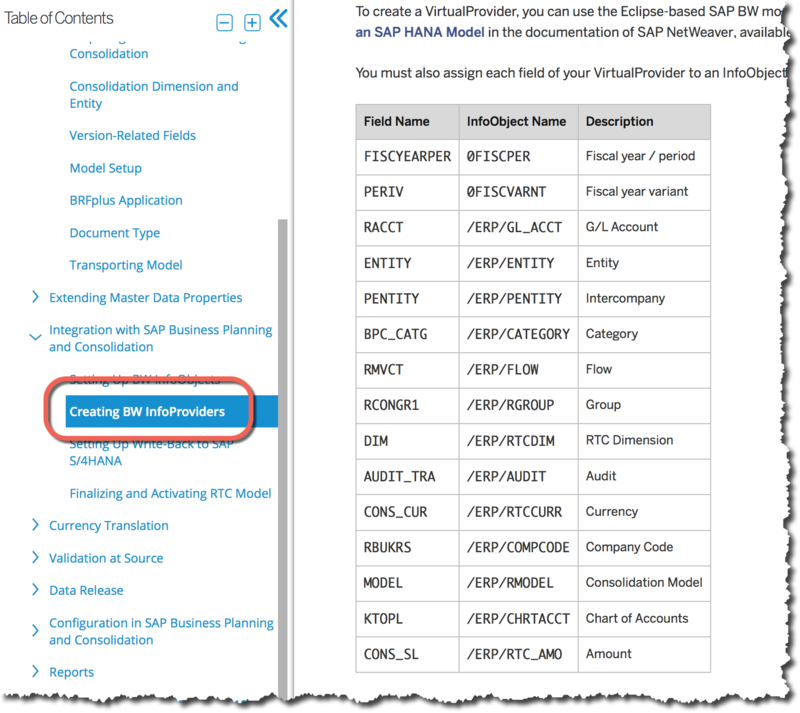 The help documentation indicates that creating a composite provider is optional and you will be able to activate your BPC Model without it but you will NOT be able to activate your S/4 Model unless the CONSOLIDATION VirtualProvider is in a composite provider. 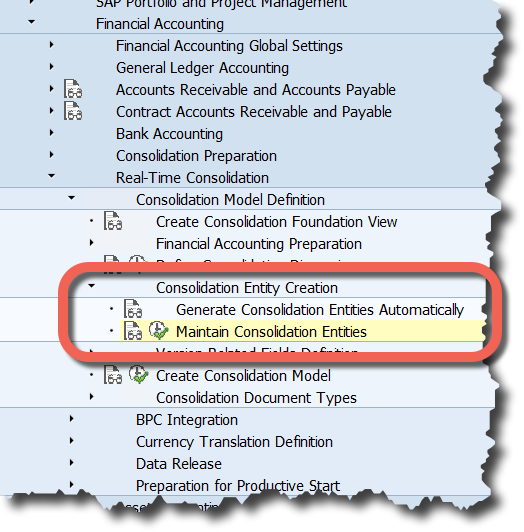 So this is not optional, it is mandatory in 1709 to create a composite provider for your CONSOLIDATION cube. You can create the composite provider in Eclipse. I used a UNION as I have no other modelling restrictions and the Virtual InfoProvider will be the only content in the composite provider. Add all the characteristics and key figures to the target and activate the composite provider. Next we need to create AGGREGATION LEVELS for each provider. Even if the AGGREGATION LEVEL is a 1-1 mapping of the provider they are the structures which form the base for all consolidation functions and provide the write-back capability of BW planning functions. 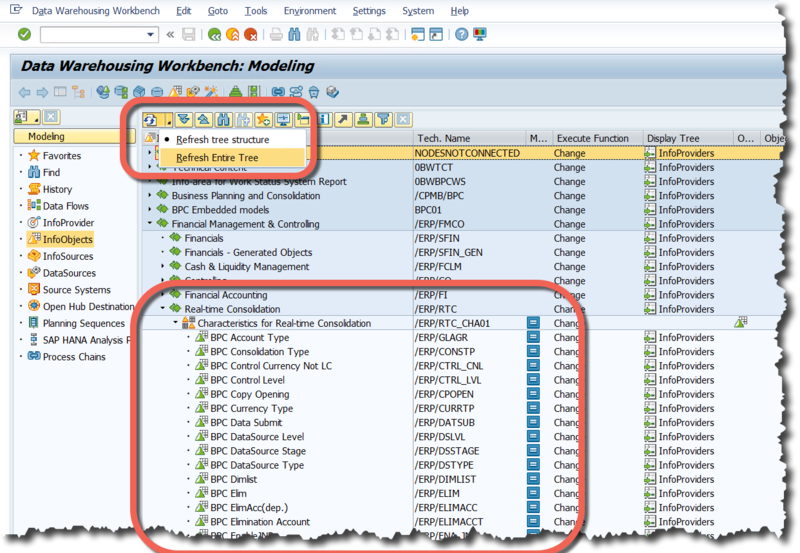 We use the HANA Studio in Eclipse with the BW Modelling Perspective to create them. 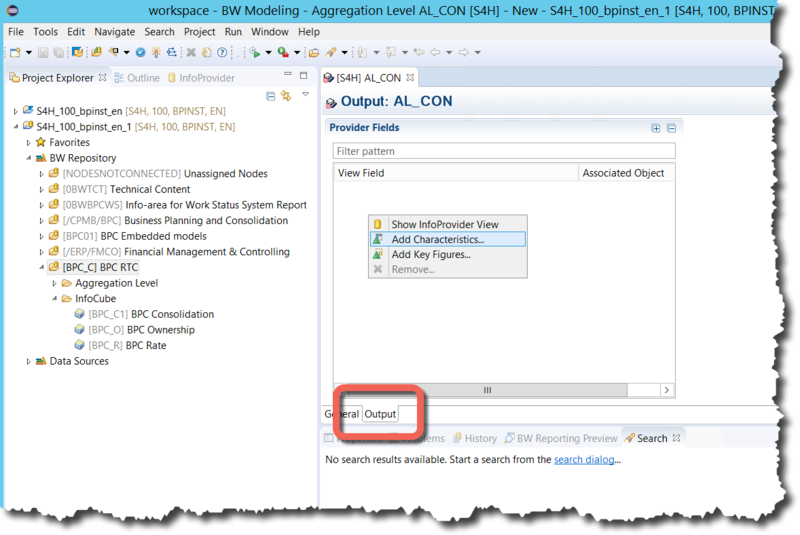 Note that right-clicking directly on the cubes opens a context sensitive menu which DOES NOT include creating the aggregation level. You must right-click on the INFOAREA. 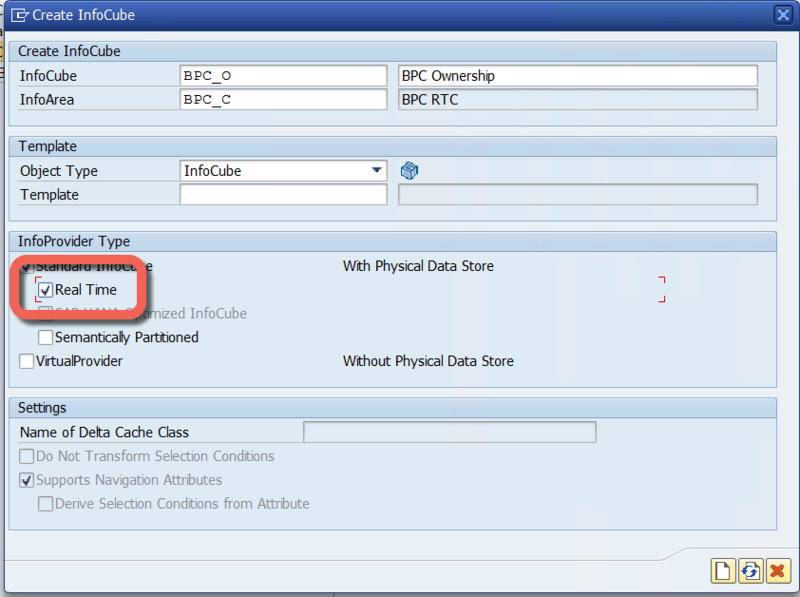 After capturing the ID and Description and selecting the InfoCube – create – select the OUTPUT tab and right-click in the VIEW FIELD box. 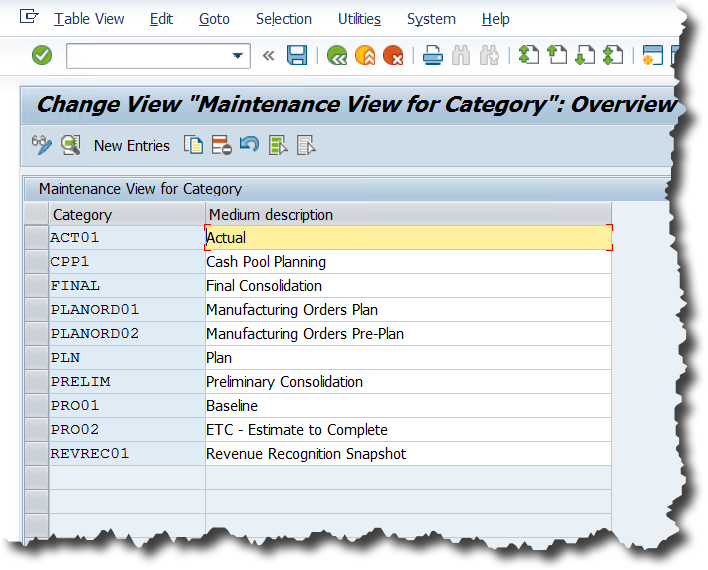 Then select ADD CHARACTERISTICS and then ADD KEY FIGURES and add all the available InfoObjects to the aggregation level. When you are done you should have one aggregation level for each cube. Note that the CONSOLIDATION base level must be created on the COMPOSITE provider and not directly on the VirtualProvider but OWNERSHIP and RATE aggregation levels do not require a composite provider. Now we can turn our attention to setting up the BPC Model. In the BPC Admin Web Client under ADMINISTRATION goto MODELS and select NEW. 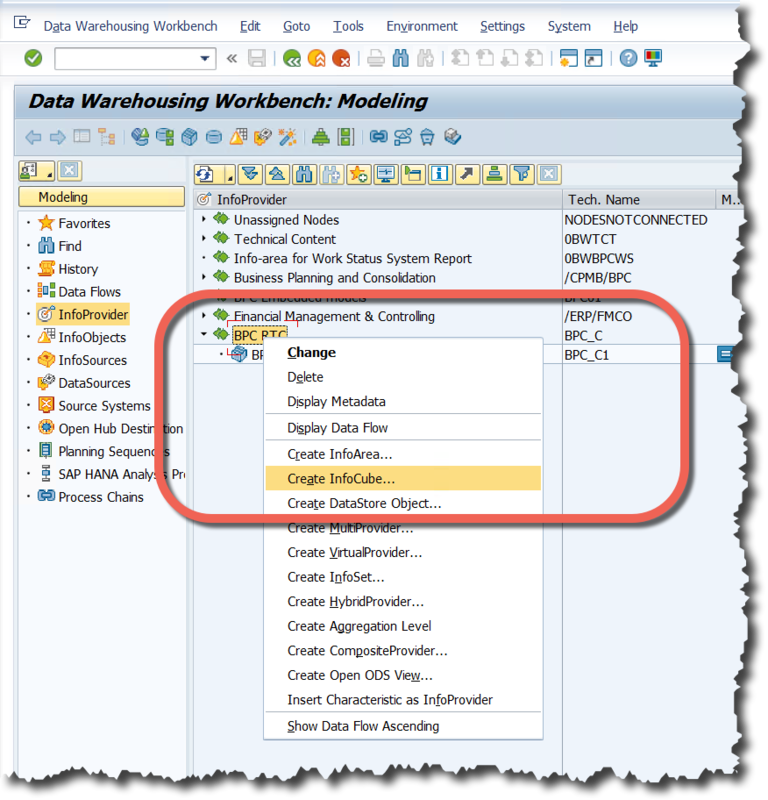 Enter an ID and DESCRIPTION and select CONSOLIDATION as the model type and press CREATE. You will now be able to assign the DIMENSION TYPE to the DIMENSION and using the GO TO MAPPING button you can map the attributes to the attribute types. After all the mappings are complete each InfoProvider will have a green PROCESSED tick next to it. The structure on the left should reflect that fact that you used the composite provider for the CONSOLIDATION InfoProvider otherwise the S/4 Consolidation Model will fail to activate. If you used the VirtualProvider directly it will still SAVE AND VALIDATE here in BPC but the S/4 Model will fail. Even though the MAPPING STATUS might now be complete with a green tick on PROCESSED it is still possible that on SAVE AND VALIDATION you may still find you have an error. So select SEE DETAILS to confirm any remaining issues but typically you will need to open the ADVANCED SETTINGS and do the final COMPOUND MEMBER selections for the compounded characteristics. Now on SAVE AND VALIDATION the model should indicate a successful activation. The last step is to complete the final handshake with S/4 by informing the S/4 Consolidation Model of the BPC Model ID. 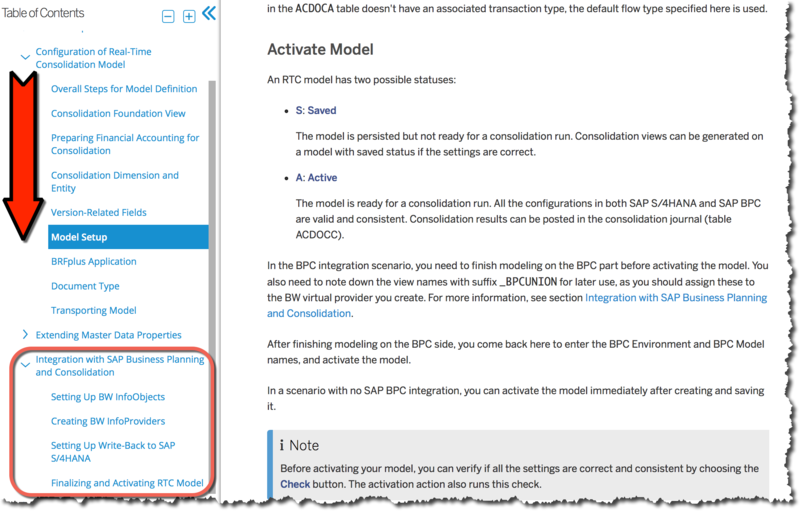 Select the BPC INTEGRATION tab and complete the BPC CONSOL ENVIRONMENT and BPC CONSOL MODEL fields and press the activate icon. You should then obtain the sort after MODEL (XXXX) ACTIVATED IN THIS VERSION status message! Actually “_VXX” stands for Validation views, “_RXX” stands for Report View. 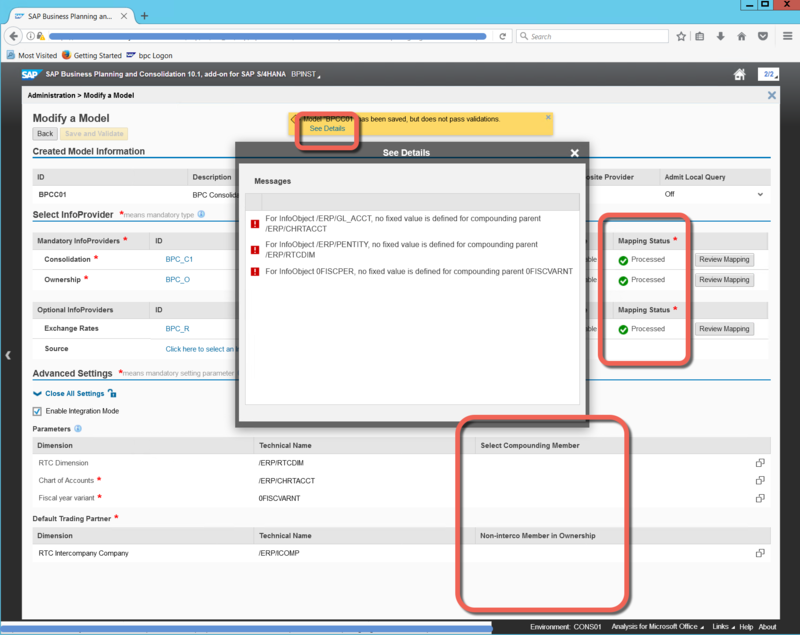 Validation view is used in Validation Engine, while report view is used for drill-through reporting. They are all CDS views that are not consumed by BPC or BW infoProvider. The views that are consumed by BPC are in the View Group “Consolidation BPC Views”, which has the suffix “_BPCUNION”. Superb! 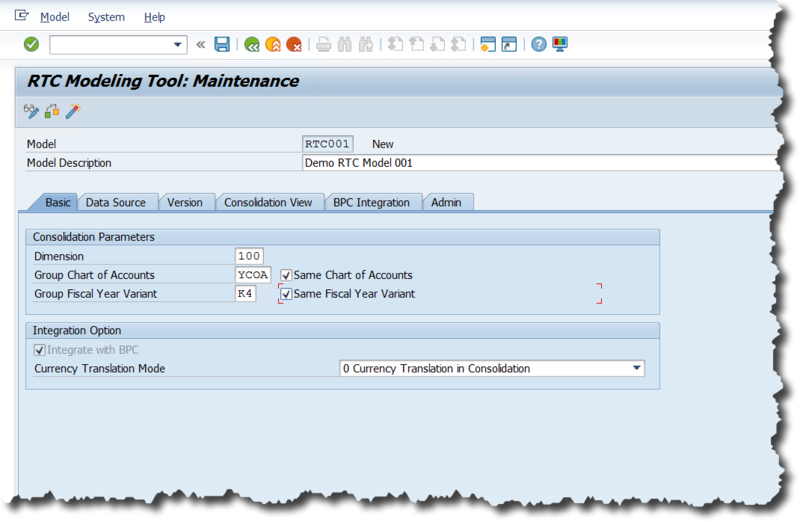 documentation for Initial steps and BPC Model/RTC Models along with Environment steps. Thank you very much for detailed document with step by step. Very useful. 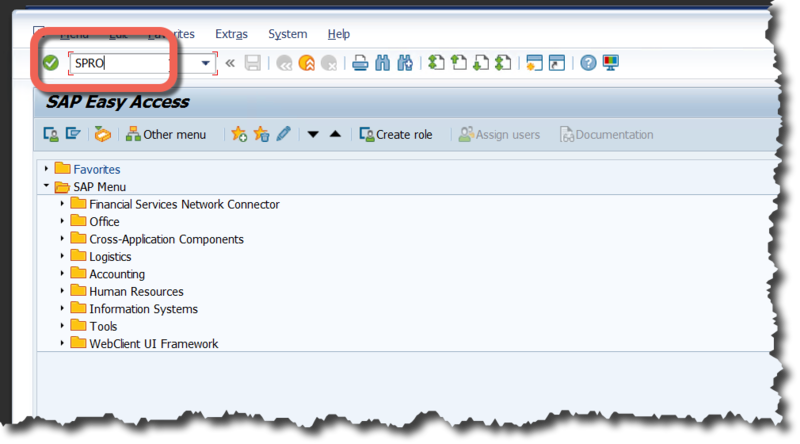 Also, would be great if you can add few comments on any new features or functionality added for RTC Consolidation. Thank you, this is really helpful resource. Also I am curious to know if there is a way to convert GLACCOUNT into BPC Account( what the conversion file usually does) and if there is any way/functionality similar to that of what the UJD_ROUTINES does? Thanks for very informative blog. It really helps in understanding the basic steps involved in setting up RTC. I have a small observation & would like to share with you so that it help others. 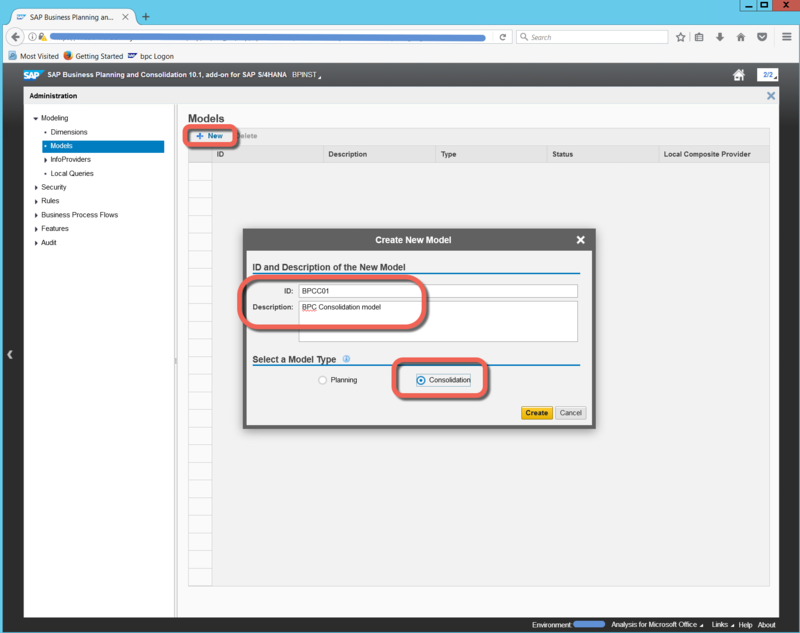 Your Info Cube for RTC definition is out of sync as we can in screenshot 4 of step 6.3 it is having different set of info objects when compared to its definition in the rest of the document. Very Nice and detailed blog. 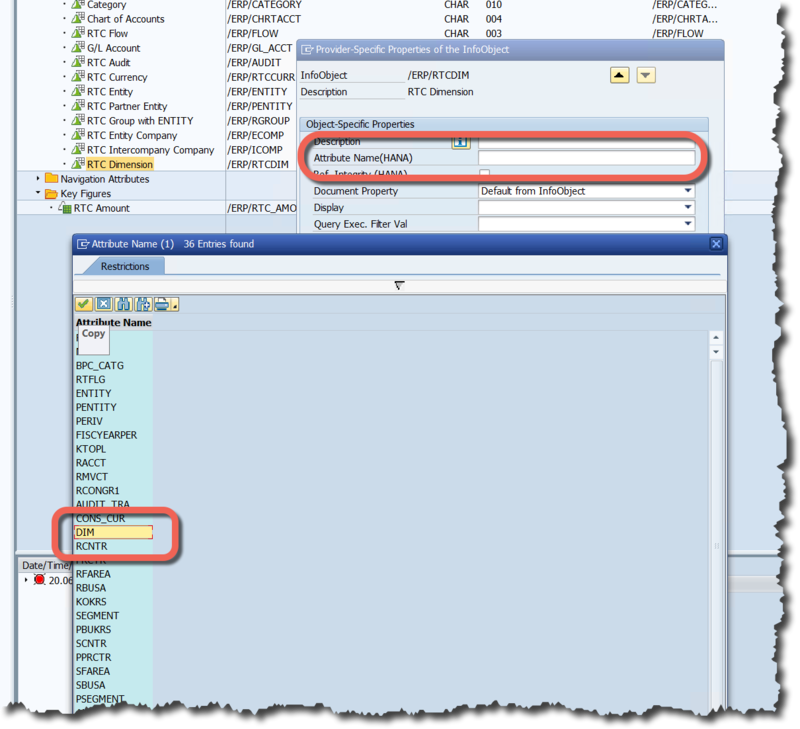 Is the data displayed in Virtual Provider coming from RTC_C_100RTC001_BPCUNION based on ADCOCA table? 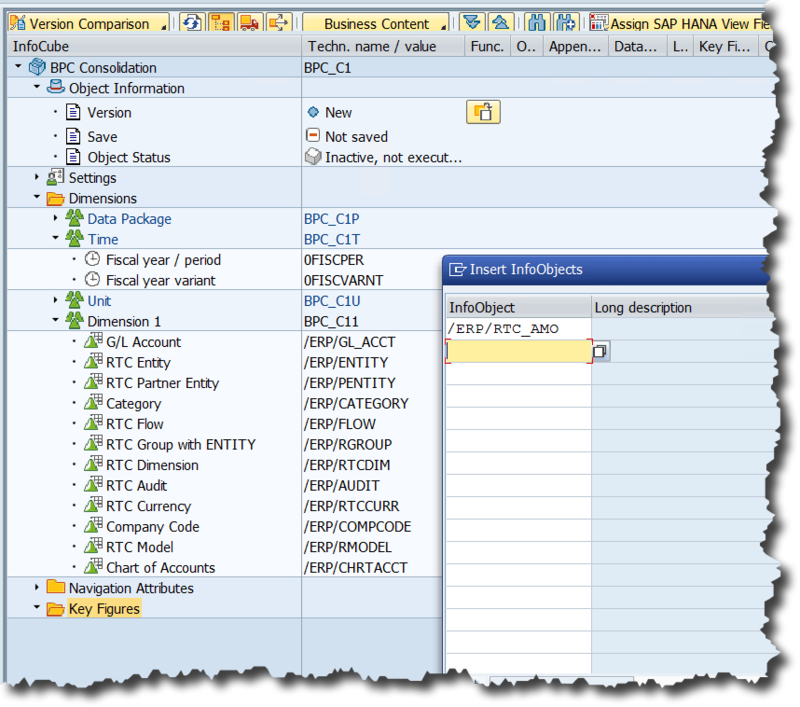 RTC_C_<client><model>_BPCUNION is HANA calculation merges all journal data from both foundation views and table ACDOCC, which is equivalent to a union of all BPC consolidation base views, and therefore represents a complete dataset of a consolidation model. 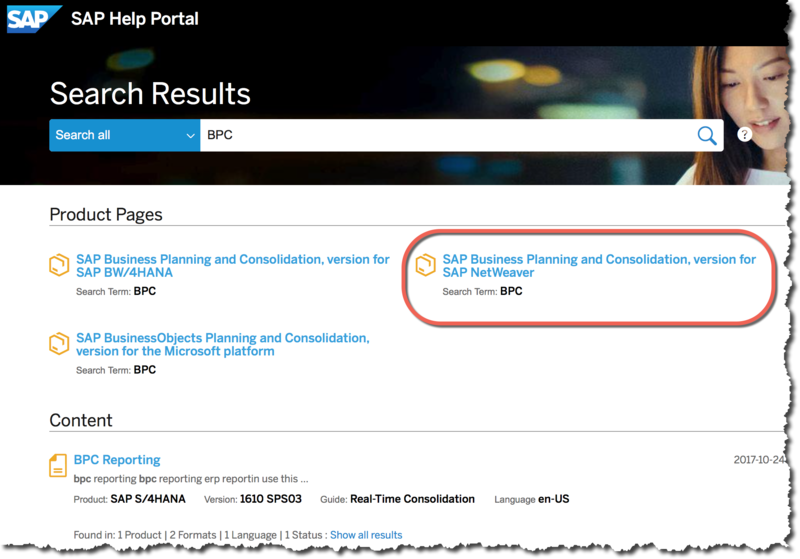 Important, notice the blog is about case in BPC Optimized for S/4 HANA 1709 and this is a new consolidatian view.